My trip to the US this summer ended with a final two weeks in Denver, where the plan as usual was to work but also try to see a bit of the area. 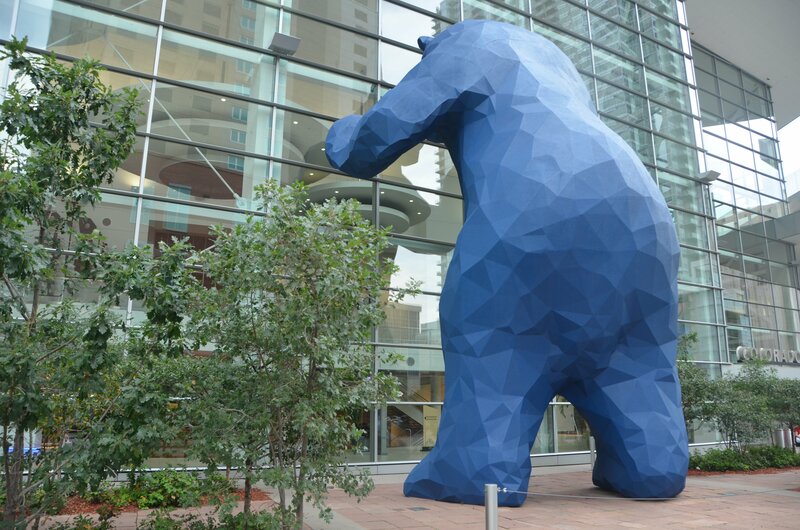 As I soon discovered when I arrived, Denver is known as the ‘mile-high city’ since it’s located at an elevation of exactly one mile (1,610 metres) above sea level. I’ve always had an image of Colorado being a very green state, and Denver is clearly an ever-more popular city, now one of the fastest-growing in the country alongside other fashionable destinations like Austin and Portland. The only thing I’m missing in this city, based on what I experienced on this short stay, is the ocean! 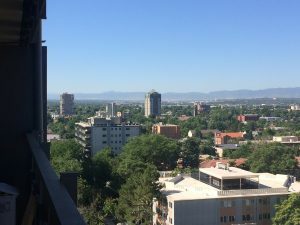 I was told repeatedly by the different people I met during my time there that Denver has 300 days of annual sunshine, and although that’s turned out to be a myth* I get the impression that they get a pretty good deal, with four distinct seasons including both a cold winter and a hot summer. The weather was great while I was there, and even when it rained it was warm and the clouds quickly blew over. I would go out in the evening in a vest top and skirt and didn’t even need to bring a jacket, something that is incredibly rare even on my latest beach holidays. The city is located with the Rocky Mountains to the west and the High Plains to the east. One of the highlights was definitely the balcony (and the rooftop pool) at my airbnb, which was on the 10th floor of one of the few tall buildings in Capitol Hill and offered stunning 360 views across to the mountains, which looked to me like a fake Hollywood backdrop. *According to this article, the first reference to these “300 days of sunshine” was by a railroad company that wanted to attract people from the East. The true figures are more likely around 115 clear days, 130 partly cloudy, and 120 cloudy days. Margaret Brown’s house was going to be torn down in 1972 but funds were raised to restore the house and the museum is now one of the states’ most visited sites. 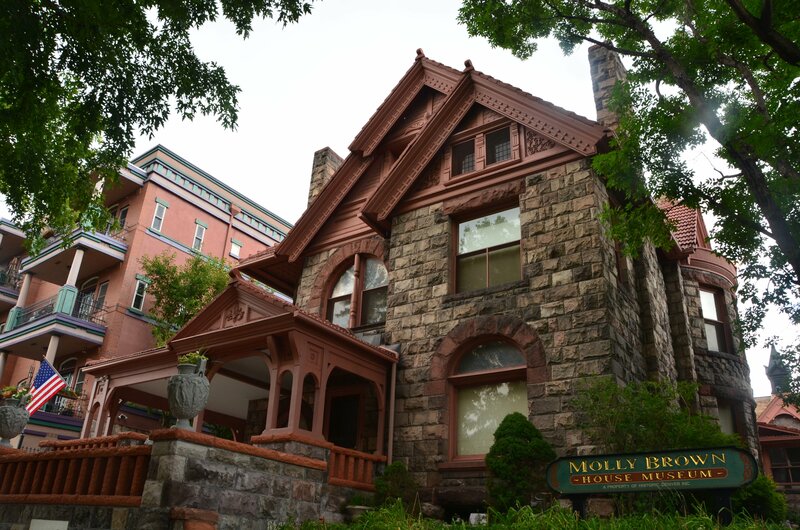 In looking for famous sights to visit in the city, I was surprised to discover a museum dedicated to Molly Brown. You’ll likely recognise the name Molly Brown (although she was actually named Margaret Brown throughout her lifetime) from Titanic, in which the role was played by Kathy Bates. In the film, the real-life character befriends the fictional Jack and tries to get her lifeboat to return to the sinking ship to save more of the drowning passengers; I found the rest of her true story is equally impressive. Born in Hannibal, Missouri, she moved to the silver mining town of Leadville in Colorado in order to find a rich husband. Instead she fell in love with a foreman and they were married six months later – but when the Colorado Silver Boom ended and many others went bankrupt, James Joseph Brown’s geology knowledge led to the world’s largest gold strike to date, and the couple became wealthy as a result and moved to Denver where they bought the mansion that I’ve now visited. 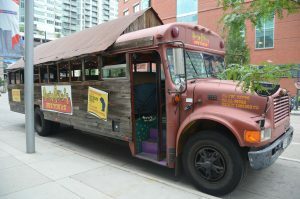 Banjo Billy’s bus is not like other tour buses, including the interior where we all sat on sofas and armchairs. I tend to steer clear of those awful sightseeing tours on double-decker buses but this one was recommended to me by my airbnb host. The bus itself is pretty unusual, the tour guide a lot more energetic and fun, and the information we got more interesting than a typical city tour. I particularly enjoyed learning about the early history of Denver, which started with the discovery of a small amount of gold at Cherry Creek in 1858; the girls’ school next to the Brown Palace Hotel that became a brothel; and the Teapot Dome Scandal (which I had actually read about in my research on President Warren Harding, 1921-23, as part of learning all the US presidents from 1901 through to the present day during my recent road trip). We also learned important facts about the blue bear and demon-eyed horse statues (they cost $425,000 and $800,000 respectively, while the latter fell on its creator and killed him); the “wickedest street in America” (Colfax Avenue); and the ratio of pot dispensaries to Starbucks (it’s 2:1, FYI). Whiskey and wine. And cider. And beer. 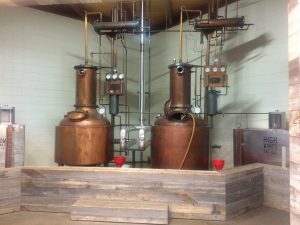 I feel like I learned a lot on the whiskey distillery tour, and even more on the Infinite Monkey Theorem wine tour. Very educational! For some reason my time in Denver involved a lot of tasting of alcohol. It all started with a flight of cider at Stem Ciders (warning for the coffee one: it tastes as advertised but I’d steer clear of that particular flavour). I then moved on to Stranahan’s whiskey distillery, where they offer free tours but of course you may enjoy going next door to the bar and sampling a full-size Diamond Peak or some kind of cocktail. There I got the recommendation to visit Infinite Monkey Theorem, a winery started by an Englishman, Ben Parsons, and which produces wine by the barrel, bottle, and can (!!) as well as housing a lively bar. I completed this tour of Denver drinks with a visit on my last night to LowDown Brewery, which has pretty good food as well as the possibility to sample the different craft beers. If you want something a bit less alcoholic, then there are also plenty of nice little coffee bars – my local ones included Pablo’s Coffee on 6th and Washington as well as the hipster-filled Thump Coffee on East 13th Avenue. 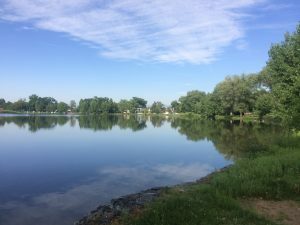 There’s plenty to do in Washington Park other than running, with volleyball courts, flower gardens, and lakes with paddle boarding and other activities. These days a list of my highlights is never complete without a mention of my running. It’s such a great way to see the city, especially once you’ve built up to the longer runs. My shorter weekday runs would venture into Cheesman Park*, which was formerly a cemetery and still houses the remains of what may be thousands of dead bodies. On my longer runs, I’d go along the Cherry Creek Trail and down to Washington Park. 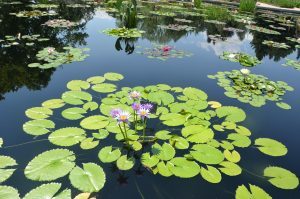 The Denver Botanic Gardens are also worth a visit. I loved the Japanese sections as well as this Monet-inspired waterlily pond. Although I didn’t make it to all of these, there were plenty of outdoor activities going on throughout the summer. Jazz in the Park in City Park, ‘Meet in the Street’ on 16th Street Mall, various concerts at Red Rock Amphitheater, outdoor movies, walking tours, and, of course, camping up in the Rockies. You may remember my blog posts from last year about an epic road trip that I took with my aunt from Los Angeles up to San Francisco and Napa, across to Yosemite and Death Valley and down through the Grand Canyon. Well, once in a lifetime that may have been but we decided to do a second one this year. My cousin was getting married in Estes Park at the entrance to the Rocky Mountains, just outside of Denver, and so this was our anchor for planning the route. 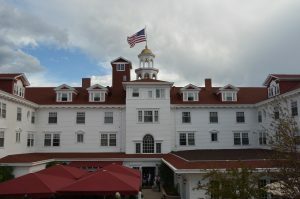 The Stanley Hotel was a beautiful location for the drinks reception the night before the wedding. 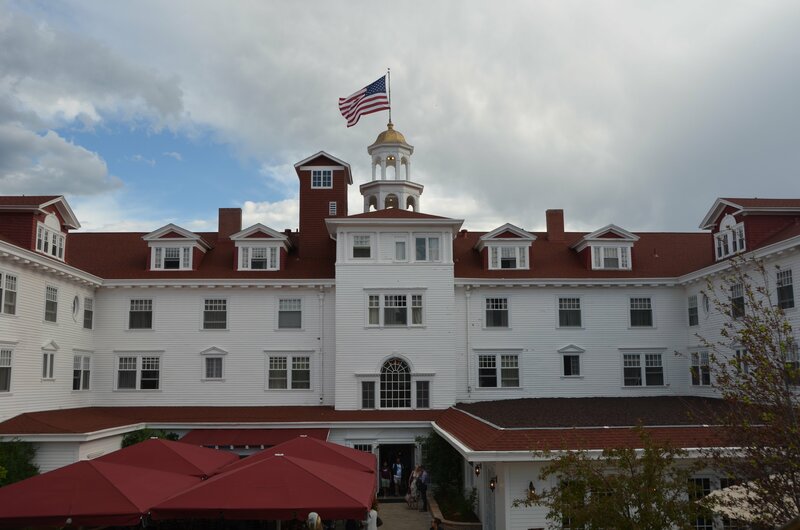 Now I can’t mention Estes Park without saying something about the Stanley Hotel. Opened in 1909, in 1971 it hosted Stephen King and his wife in Room 217. They were the only guests and his experience of the echoing halls inspired him to write The Shining. Though the hotel didn’t serve as the location for Kubrick’s iconic film, that film plays on continuous loop on all the guest room televisions. If you’re interested in seeing evidence of paranormal activity on site, you can join a ghost tour where you’ll be astounded by lollipops being knocked over by the various spirits who inhabit the building. For the first time, I put together a little video of our trip – I almost get tears in my eyes each time I watch it as I remember everything we’ve seen in such a short space of time (reflected in the fact that I’m squeezing it all into one blog post!). Country roads, take me home! 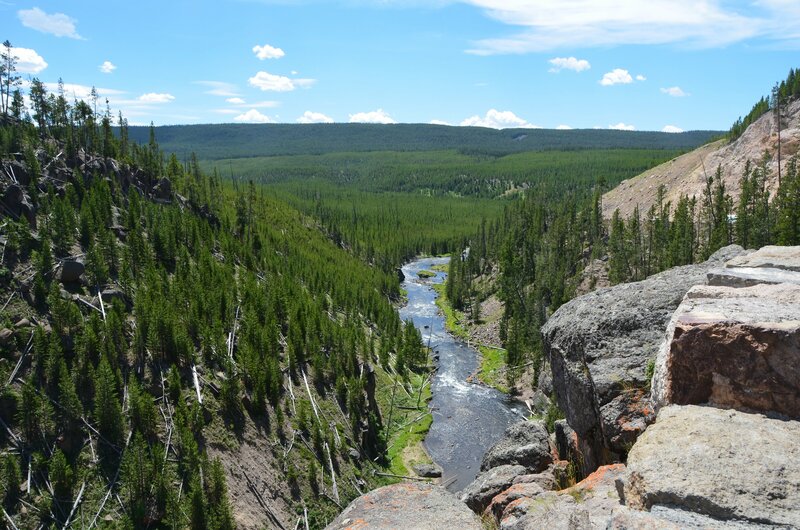 Our trip started in Wyoming, driving north from Denver up through Cheyenne, the capital city. 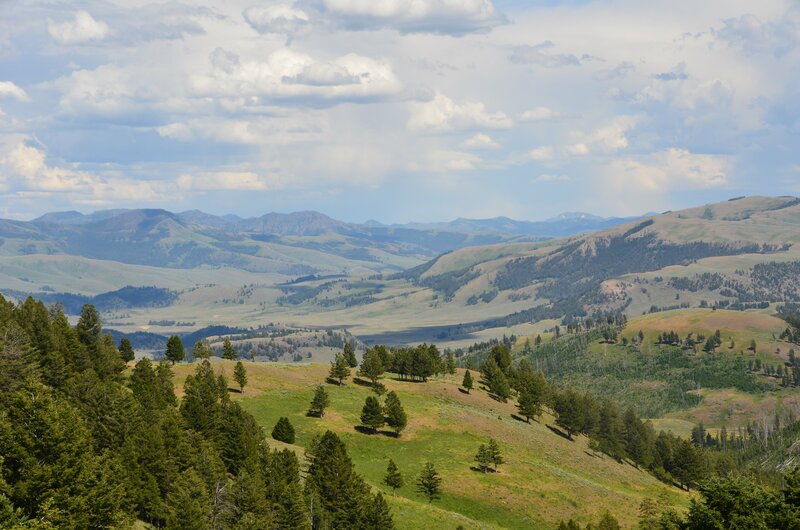 Although my post-trip online research has told me that Wyoming no longer officially has this slogan, the state motto ‘like no place on earth’ quite accurately summed up this part of the country. 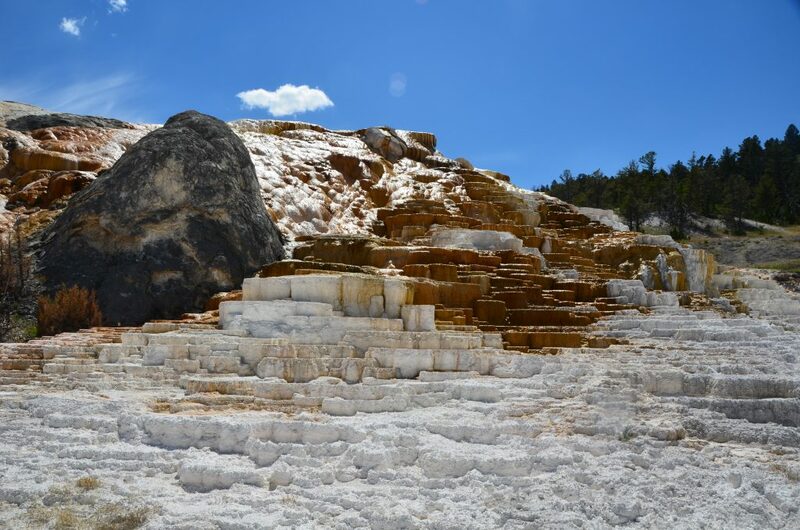 The area includes both Yellowstone and Grand Teton National Park but that’s not all its known for; Wyoming is also ‘the equality state’, having been the first to grant women the vote in 1869. 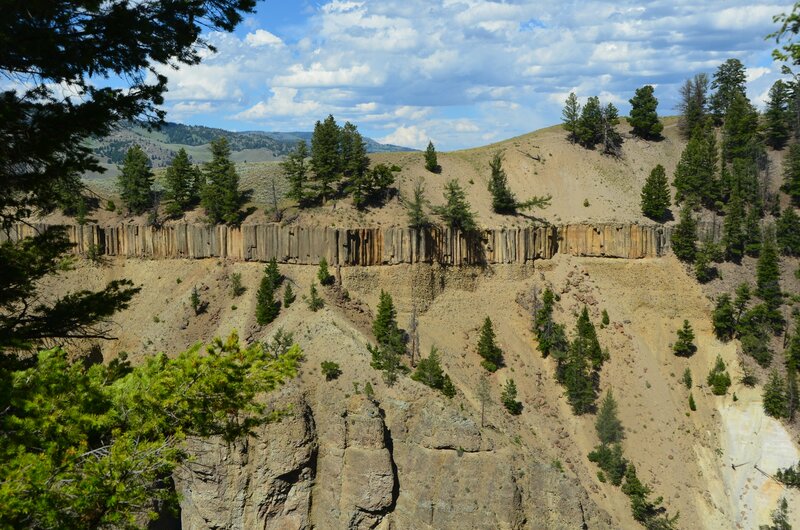 Another state that’s “like no place on earth” is Montana. For some reason I had imagined wide-open prairies and Native Americans, presumably thanks to films like Legends of the Fall and A River Runs Through It – and this is actually quite close to the reality, Montana being the fourth biggest state but ranking just 44th in population of the 50 states. What I did not expect, however, was the proliferation of crystal meth, of which I was informed by a lot of billboards with various messages along the lines of “one shot and you’re hooked”. Lovely. Seeing how differently people out here live, together with the conversations I overheard throughout the trip about guns in particular, I got an unexpected insight into the voting patterns of the country. Have you ever noticed that Teddy Roosevelt (you know, Robin Williams – third one from the left) is wearing glasses? Amazing! Now the reason for venturing into meth central was in fact this: ticking off #7 on my bucket list and visiting Mount Rushmore (“THERE IS NO COUNT RUSHMORE!”). It’s really not on the way to anything and as we’ve established the US is a very big country, so you can’t exactly just pop up to Mount Rushmore. Having come to Colorado for my cousin’s wedding, however, it felt like this was my big chance: the memorial is less than a six-hour drive from Denver. 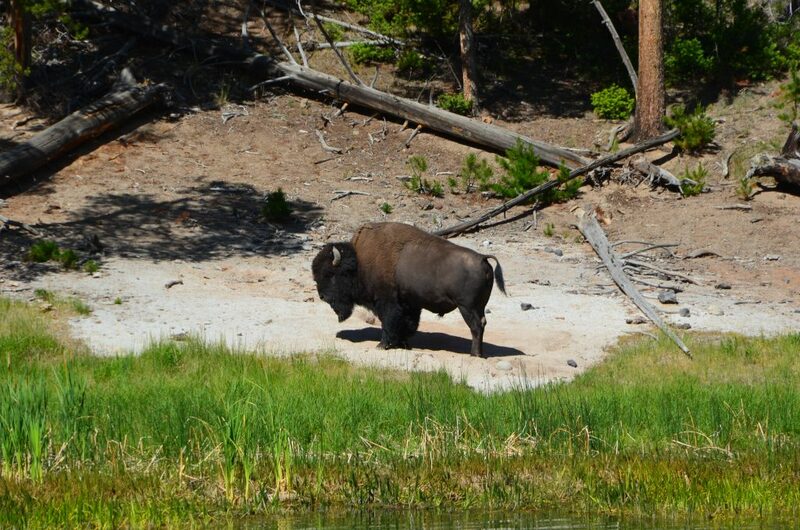 It was conceived precisely to bring tourists to the Black Hills region and it seems to have been successful! Now, as is often the case, Mount Rushmore was smaller than I had expected (did you ever visit the Leaning Tower of Pisa? ), at least from a distance. On the way there, I first saw the profile of a face carved into the mountain but it turned out in fact to be that of Crazy Horse. 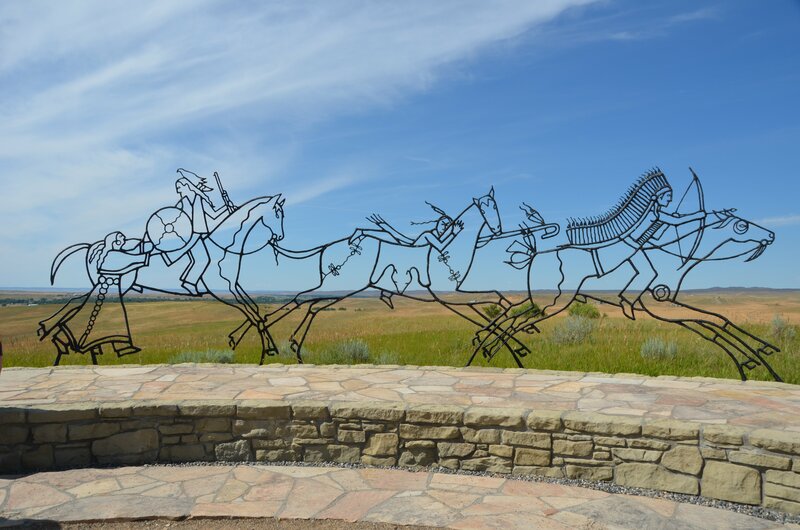 In an ambitious project that started in 1948, the intent has been to create a monument to represent a Native American hero; if it’s ever completed it will be the largest sculpture in the world. 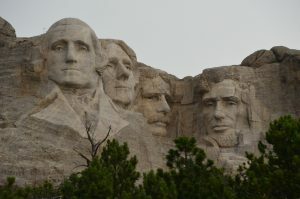 Over at the better funded Mount Rushmore, the four faces of the American presidents were chosen by sculptor Gutzon Borglum to represent the founding (George Washington, 1789-1797), growth (Thomas Jefferson, 1801-1809), preservation (Abraham Lincoln, 1861-1865) and development (Theodore Roosevelt, 1901-1909) of the United States. The unexpected highlight for me was coming back in the evening, when all the visitors joined in with the national anthem as the monument was lit, and all past and present military personnel were individually honoured on stage. If you’d like a taster of what this was like, I recorded a video on my phone – it’s very dark, but you get at least an idea of the atmosphere. Just click on the ‘X’ to remove the ad at the bottom. 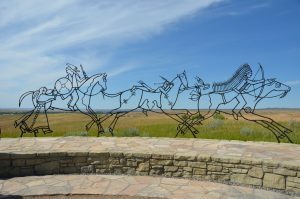 Reading about Crazy Horse led us to the Battle of the Little Bighorn, where the combined forces of the Lakota, Northern Cheyenne and Arapaho won a victory against Lieutenant Colonel Custer and the 7th Cavalry Regiment of the United States Army (referred to in The Last Samurai, if you’ve seen that recently!). 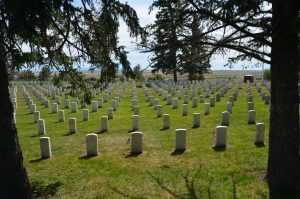 Although we hadn’t planned a stop there, I was happy to see that the site of ‘Custer’s Last Stand’ was on the way to our next stop, West Yellowstone. A quote at the memorial reads, “Forty years ago I fought Custer till all were dead. I was then the enemy of the Whitemen. Now I am the friend and brother, living in peace together under the flag of our country.” – Two Moons, Northern Cheyenne. Although that battle of 25th-26th June 1876 was a victory for the Native Americans, just a few years later they had surrendered. 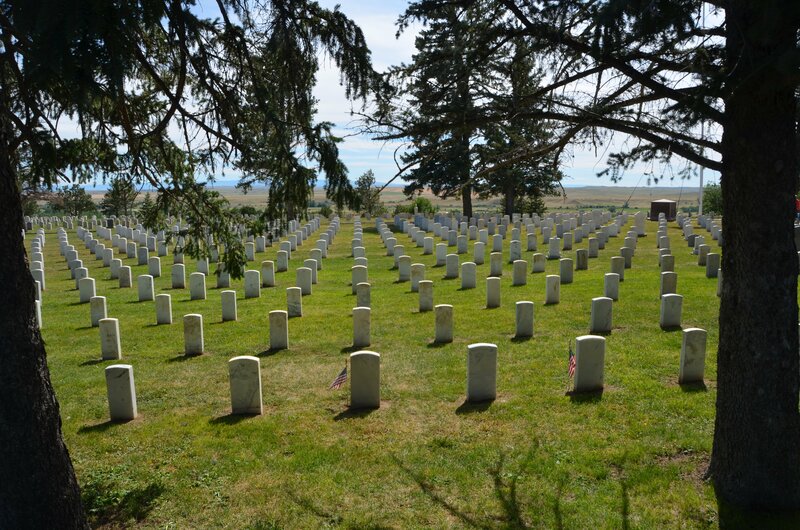 The site of the battlefield today includes a National Monument with the Custer National Cemetery as well as an Indian Memorial. 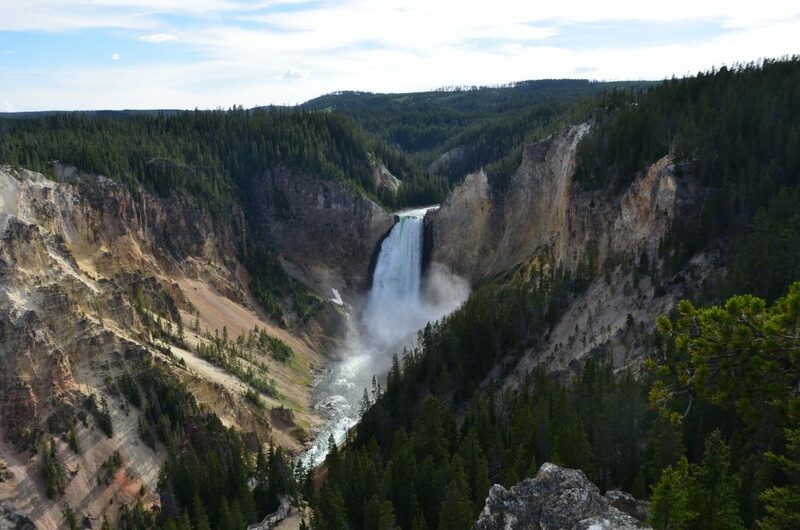 I’ve always loved Yosemite National Park but I have to say that I may well have a new favourite: Yellowstone. Its sheer scale and spectacular beauty was quite overwhelming, with every turn in the road offering a fresh perspective and a new type of landscape. The first national park in the US and possibly also the world, it encompasses sub-alpine forest, geothermal features including geysers (also ‘paint pots’ and ‘fumaroles’), mountains, lakes, rivers, canyons, waterfalls… and a range of wildlife including bears (we saw a black baby one), bison and elk (we saw several), deer (we saw many!). We saw most of it from our car so I’d definitely love to come back and have more of a natural experience of camping… but WOW, what we saw just took our breath away. 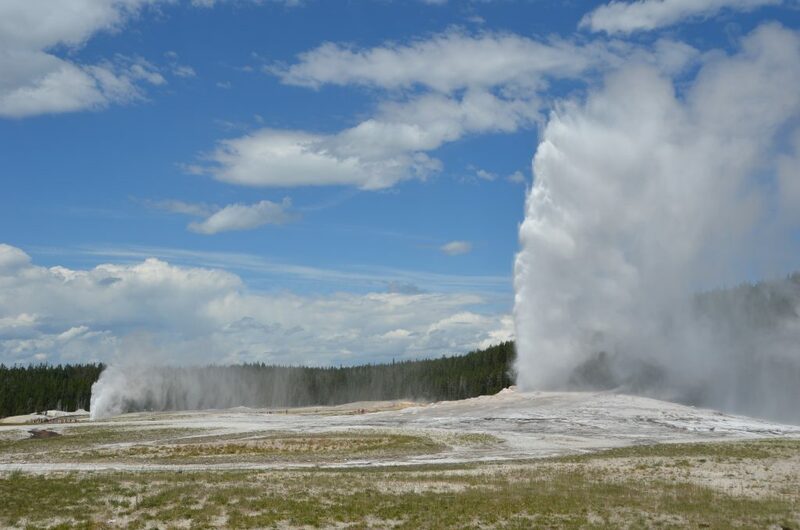 We even timed our visit perfectly to the Old Faithful geyser just as it erupted (it does so approximately every 90 minutes – you can follow the latest estimates on its personal Twitter account!). Salt Lake City: another place that I’d been curious about but I would never travel to for its own sake. Of course I’ve always known it as the headquarters of the Mormons, something that has only been reinforced since watching Book of Mormon. Twice. As far as I can tell, everything portrayed in the musical is basically true (okay, except the actual story of Kevin, Arnold, and Uganda) and it was quite fascinating to learn more about their beliefs of Jesus coming to North America, Mormon and his son Moroni (“the all-American angel”) writing down their witness in the 4th century AD, Joseph Smith finding those golden plates, and Brigham Young founding the religion in Salt Lake City. 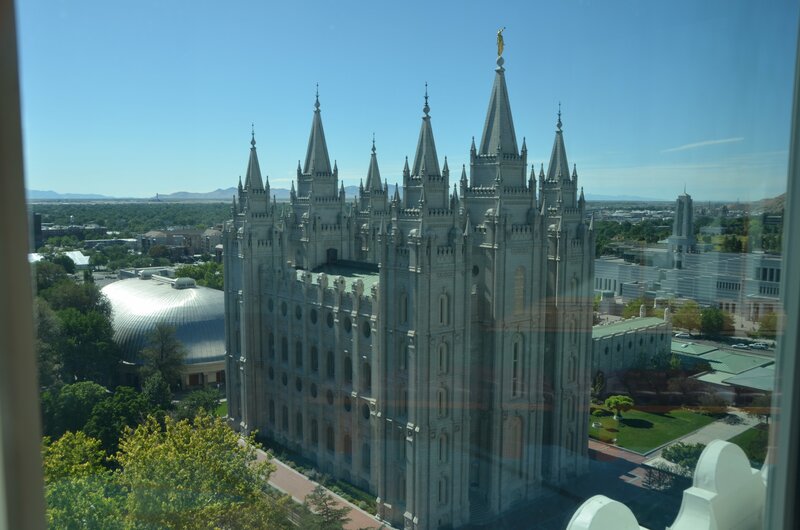 Mormons get baptised and married in their temples, which are not open to the public. You can see a scale model in the visitor’s centre: the inside is absolutely spectacular. Now Salt Lake City is the location of the Mormon temple, and it does look exactly like it does in the musical set. I found it interesting, though, that only about half of the city’s population is Mormon and there is actually a strong counter-culture that means that it’s no problem at all to find places to drink coffee or alcohol… or do yoga! Since it was only a quick two-night stop, we did still focus our attention on Temple Square, which was the reason why I wanted to visit the city. We said, “Hello” to a lot of very friendly Mormon volunteers who were there to guide people around the area, all for free. Most in fact were women, both young students who were on their mission and older pensioners (rather hilariously, it was the latter who were tasked with showing us how the computers worked in the Family History Library). 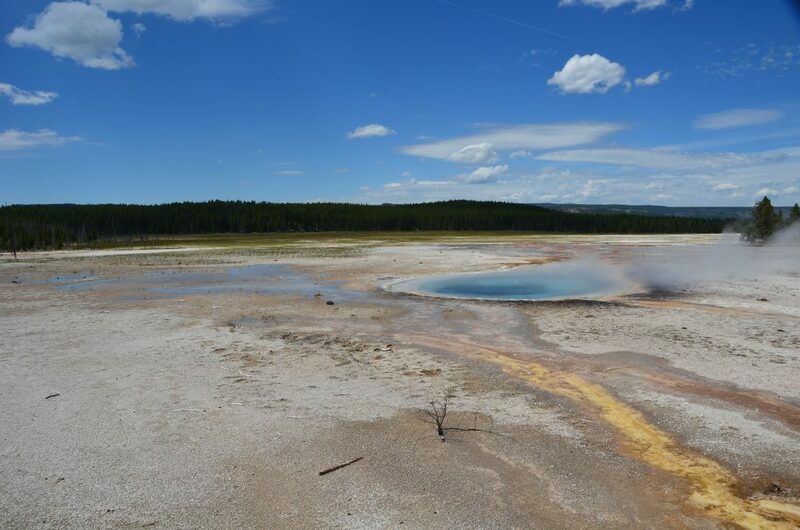 I honestly wouldn’t recommend such a whirlwind tour of so many states, even though that’s often what I end up doing; but it did gave me a taster and I now know where I’d like to come back to (definitely Yellowstone for some proper camping as well as Jackson and, more surprisingly, Salt Lake City). Torrington, Wyoming: This was a ‘middle-of-a-nowhere’ petrol / lunch stop but I feel it deserves a mention because of the surprisingly modern coffee shop The Java Jar, where they served great coffee and very fresh salads and sandwiches. They even had Wi-Fi! Broadus, Montana: Should you ever find yourself driving through Broadus, then keep on driving. Should you for some reason have to stop, then make your way to the bowling alley (you’ll know it by the naked baby doll tied to a post outside) where you can get a really yummy quesadilla. Keystone, North Dakota: Our hotel recommended the Powder House Lodge Restaurant and we weren’t disappointed. I had the most delicious elk medallions sautéed with apples and my aunt had the one of the best (buffalo) filets she’d ever tasted. I also had a very tasty Moscow Mule in the Red Garter Saloon where there was live music and even a bit of dancing. Jackson, Wyoming: Try Bin 22 for dinner and drinks (the restaurant is next door to the grocer’s where you can pick up a bottle of wine with no corkage), and The Bunnery, a popular breakfast spot for tourists and locals alike. Salt Lake City, Utah: The Melting Point was a pretty amusing insight into what Americans think of fondue. Bearing little resemblance to what we do in Switzerland, this was a massive four-course extravaganza that nonetheless was worth it for the experience! I’ve always had a soft spot for the northwest of the US. Portland, Seattle, across the border to Vancouver… it’s been a region that I’ve wanted to visit for a while. I do love the ocean, and I guess I’ve imagined a really green area with lots of seafood and kayaking… In any case, I took the opportunity recently in combination with my cousin’s wedding in Denver, Colorado, to pop over to the west coast (yes, I know, it’s like flying to Lisbon and saying you might as well pop over to Warsaw…). 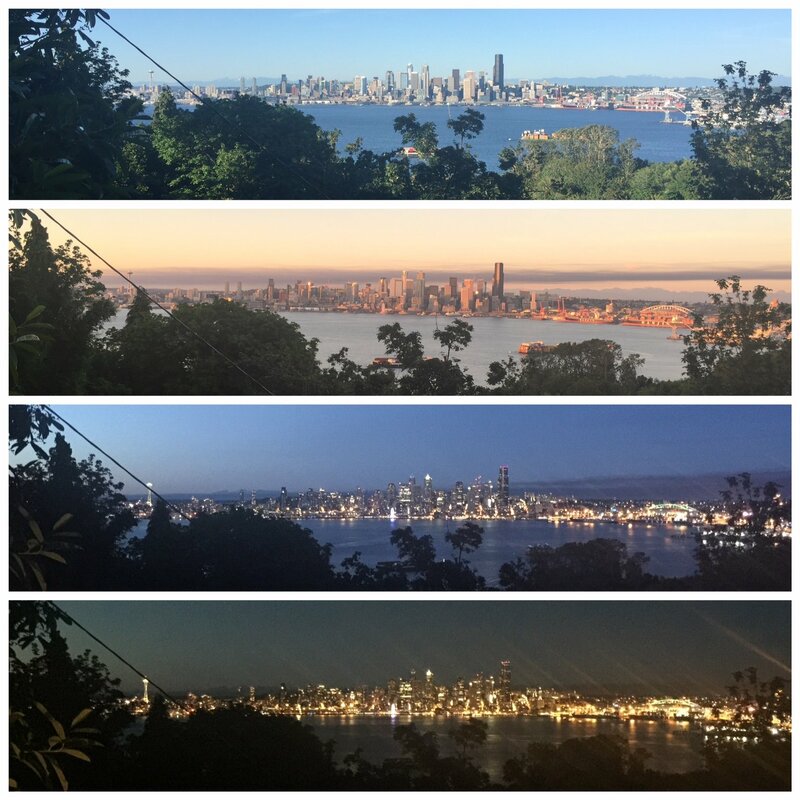 I started my trip with three weeks booked in an airbnb in Seattle. The top highlight was definitely the view of the city skyline from my window! It’s always hard to decide on where you want to stay in a city that you’ve never visited. 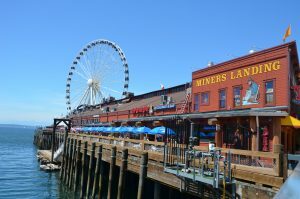 I did some research online about the different areas – for example, the Waterfront (tourists), Pioneer Square (nightlife), Capital Hill (gay) – but eventually settled for a little studio in West Seattle. This was across the bay from the city centre, so I wasn’t exactly in the thick of things, but it was just a short water taxi ride into town. My neighbourhood was really lovely, with an eclectic collection of different architecture styles, and there was plenty to do there with Alki Beach just down the hill, the famous Salty’s restaurant, paddle boarding and kayaking, and heading out for some beautiful runs along the oceanfront. 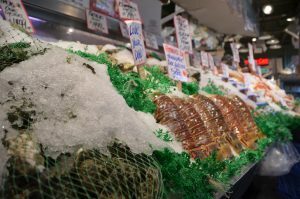 Pike Place Market opened in 1901 and has more than 10 million visitors each year. I had an ‘oyster shooter’, watched salmon being thrown about, and ate an ahi tuna salad at one of the restaurants inside. In my usual commitment to learning about a new location, I immediately set about watching Sleepless in Seattle on my first night in the city. The fashion may have changed (it was released in 1993) but the love story is timeless! There are plenty of movie locations to discover around town, and I did my best to seek them out: lunch at the Athenian Inn inside Pike Place Market, Seattle’s most popular tourist destination and the 33rd most visited tourist attraction in the world (according to my other trusted source of information, Wikipedia); dinner at Dahlia Lounge, which has unfortunately moved since it was used in the film; the airport (exciting! ); and Alki Beach Park. So I’d say that Seattle is the only place in the world where you are culturally justified in spending time at Starbucks, given that the city is in fact its birthplace. 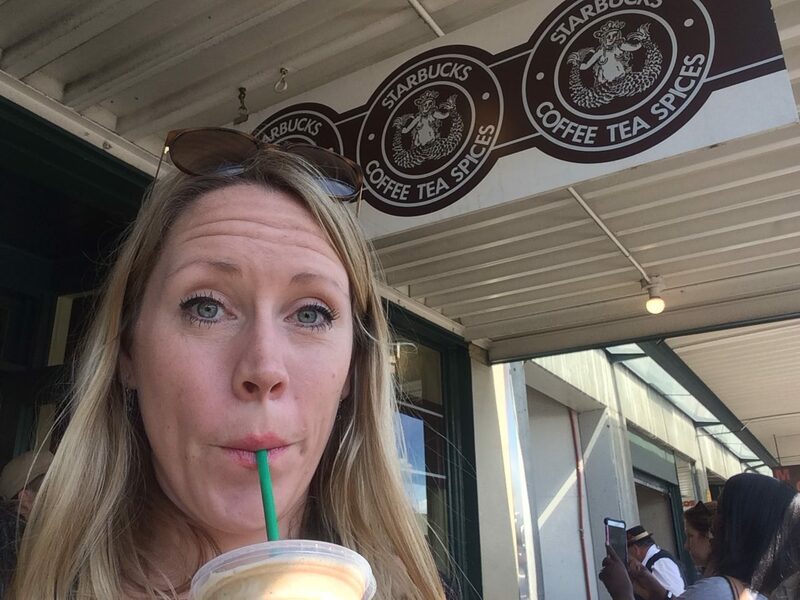 Just as Dahlia Lounge has moved since Sleepless in Seattle was filmed there, however, so too the first Starbucks café moved, the very first one being located at 2000 Western Avenue and this “Original Starbucks” now being found at Pike Place. Despite this, I definitely wasn’t the only person who had decided that it was worth visiting this ‘historic’ spot and I knew that I was in the right place when I saw the long queue outside. Tip: If you haven’t read it, Howard Schultz’s Pour Your Heart into it: How Starbucks Built a Company One Cup at a Time is an interesting read! 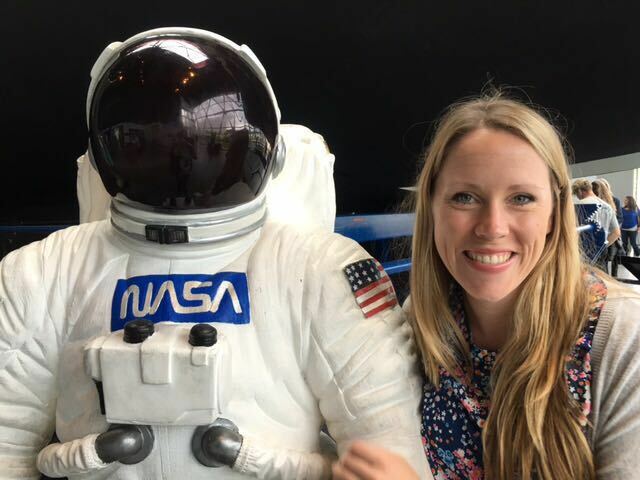 Me with my astronaut buddy! The weather wasn’t great the whole time I was in Seattle (apparently it’s known for its many rainy days) so one particularly grey afternoon seemed an appropriate time to head to a museum for a bit more culture. Seattle is famous not just for Starbucks but also for Boeing (and Microsoft as it happens), and the Museum of Flight is the largest private air and space museum in the world. It’s not a huge museum, although it has buildings on either side of the road, and I was pretty excited to discover that you can book onto a tour of the NASA space shuttle trainer crew compartment. There was also a great 3D film that told the story of human flight from the Wright brothers (and dreaming of it long before that) right into a future in which we’ve colonised Mars. Tip: If you want to grab a bite to eat then I recommend Randy’s Restaurant just down the road, a diner decorated top to bottom with aircraft memorabilia. The food isn’t great but it’s fun and it’s better than the café at the museum! 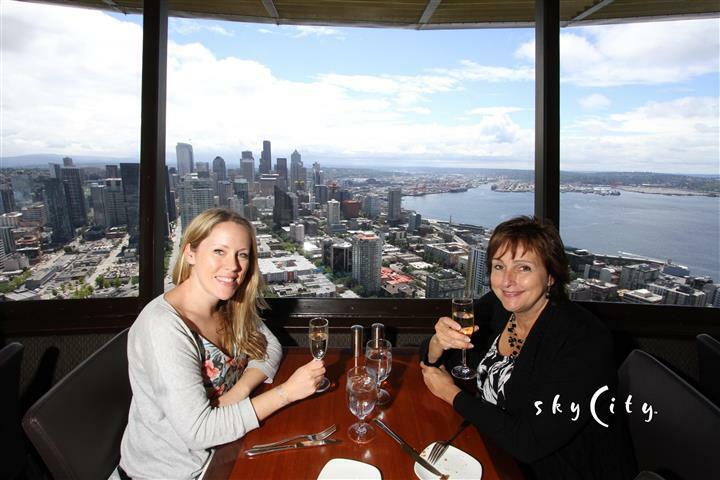 My aunt and I ended my Seattle visit in style with a glass of prosecco and a three-course brunch in the Sky City restaurant. I had a disappointing experience in London a few years ago when I paid a lot of money to go up in the Shard, the tallest building in Western Europe, and found a pretty mediocre view from the top; and as a result I was not that fussed about going up into the Seattle Space Needle, even though it’s one of the city’s top attractions. One review on Trip Advisor even advised heading to the Sky View Observatory instead for “spectacular views – much higher, cheaper and more peaceful than Space Needle”. When my aunt was passing through town, however, I managed to book us in for brunch in the Sky City restaurant, and this was a spectacular way to end my stay in Seattle before heading on up to Canada. The circular restaurant spins around inside the tower once every 47 minutes, giving you the view of everything from Lake Union to Frasier’s city apartment and the downtown city centre. Tip: The restaurant was fully booked when I first called, and online booking didn’t bring up all the available times – so make sure you call ahead! 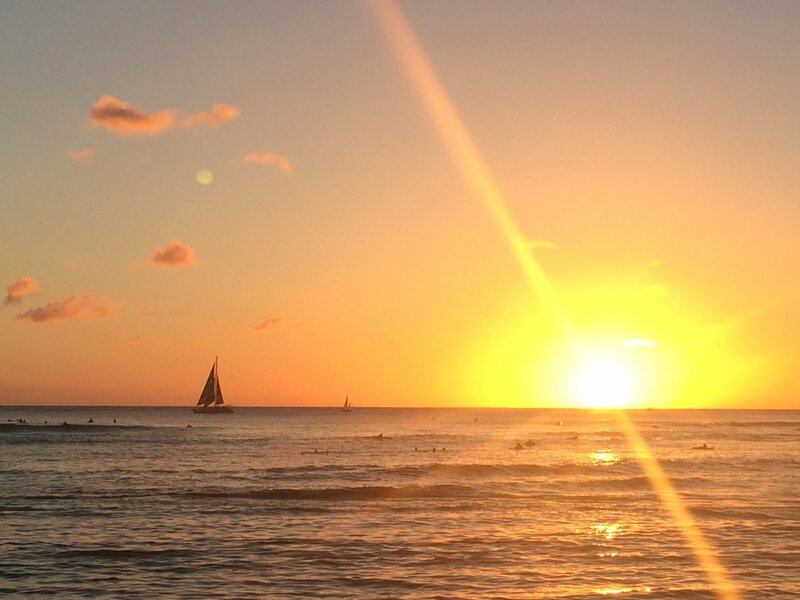 Hawaii has been on my wish list of destinations for many years. My granddad always dreamed of travelling there but never did unfortunately, and so although I had been saving it for some theoretical honeymoon I decided to go for it now rather than miss out. 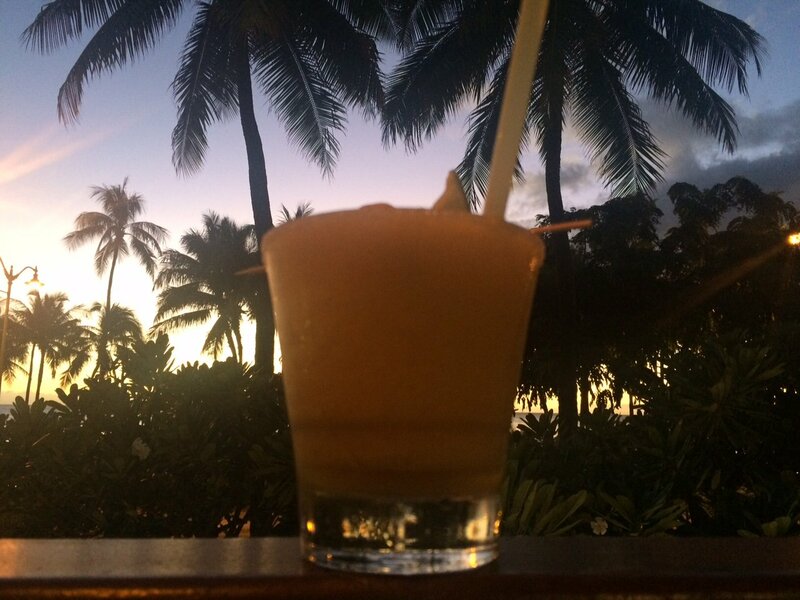 And so it was that I had a really lovely chilled and still incredibly productive month’s stay in Honolulu. My hard work alongside a ten-day period of pretty hard rain (I know you don’t believe me) meant that I didn’t even go up to the North Shore, let alone travel to the other islands as I had intended. Plus, even self-sufficient old me couldn’t quite bring myself to go on a sunset cruise by myself… so I will definitely come back for a romantic trip some time! So here are the 5 highlights of my month in Honolulu! 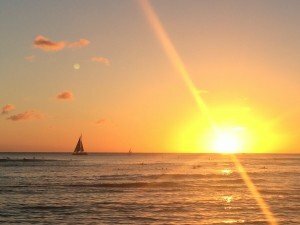 The only thing I planned before coming to Honolulu, and even this just a couple of weeks before arriving, was my airbnb accommodation. A recommendation from a friend (THANK YOU EMILY! 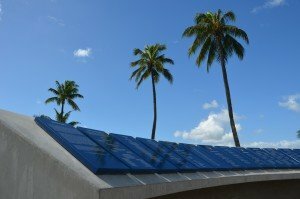 ), the house was on a hill with a stunning view of Honolulu, a short bus ride from all the tourist action but with plenty of restaurants and things going on in the area… oh, and a hot tub. This was the first time, though, that airbnb was more than just a place to stay and I actually spent time with the hosts. Now this may be partly because Louise and Kahi are friends of a friend but I suspect it was mainly because they are just incredibly lovely airbnb hosts and wonderful human beings. 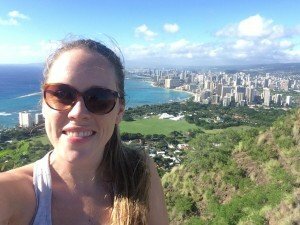 From enjoying eating, or just watching, Louise’s gourmet cooking every night to being invited along to Thanksgiving dinner, from painting Kahi’s buoys for display at a surfing competition to feeding the chickens, staying here really added to the experience of being in Hawaii. Oh and did I mention the hot tub? My bucket list specifies that I learn to play “Somewhere over the rainbow” on the ukulele and on arriving in Hawaii I suddenly realised this was the perfect opportunity to do so. A quick Google brought up Roy Sakuma Ukulele Studios, who just so happened to have classes right around the corner. I had four lessons and picked up the chords pretty quickly, although hearing Roy and the other teachers play was enough to make me realise how many hours of practice I’ll have to do to sound anything like that. Well, it’s no Israel Kamakawiwo’ole (hurrah I can finally spell his name without checking!) but I did learn to play this most famous of ukulele songs as well as a bit of Jason Mraz, some Beatles, Disney and even a couple of Christmas songs. I’ve left Honolulu with my ukulele in tow and so I hope to continue learning back home. It would be criminal not have a tropical cocktail or two in a place like this! Ah food. Isn’t that the highlight of any stay anywhere? Ahi was definitely the star of the show for me. It’s “just” tuna but bears no resemblance to what I’ve ever eaten before, from the fresh ahi that I was treated to thanks to a fisher friend of Louise’s early on in my stay to a glorious Hawaiian spread including different kinds of poke (a little like ceviche, yellow-fin tuna with spring onions, seaweed, sea salt and soy sauce) on one of my last nights in town. Thanksgiving was another joy for me, already to be invited into someone else’s family at such a special time but then to be treated to the most delicious turkey, ham, and huge array of side dishes and desserts. I also did my best to have the local specialities, including shave ice – basically SNOW with delicious sugary syrup on top, in my case lychee, coconut and pina colada plus condensed milk on top (and you can add ice cream underneath too if you want to go mad) and SPAM sushi – yes, you read that right. Spam came onto the scene during the Second World War when it was difficult to get fresh meat and it’s stuck around as a local favourite. Oh and I had purple sweet potato (that one was accidental!). Just like in San Francisco, running has been a great way to explore the area. As I moved on from recovery after my half-marathon and started to build up my distance again, my longer runs took me through different neighbourhoods, around Diamond Head (a volcanic cone), down by the ocean, and even through Waikiki on a Saturday night. There were plenty of hills to maintain that part of my training from San Francisco too. And recovery in the hot tub after a run was always a great incentive, especially after my many runs in the rain…! 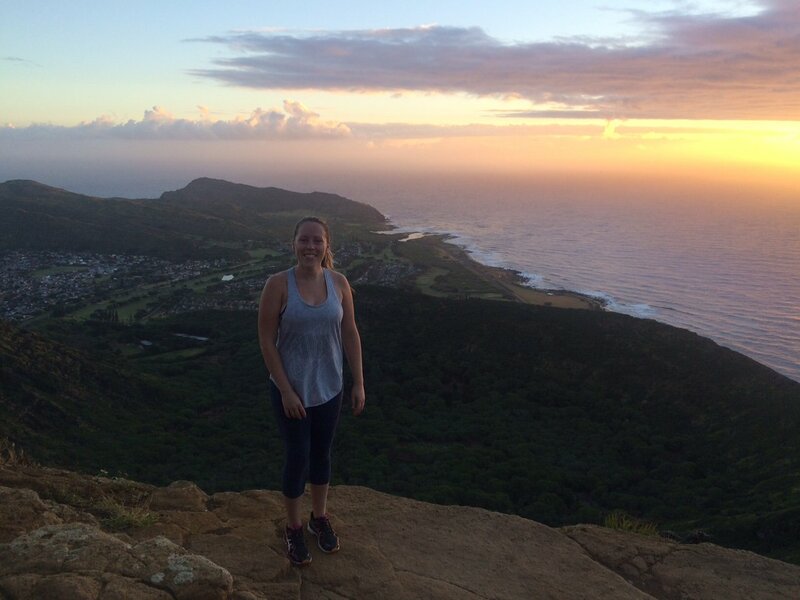 Watching the sun rise after an early morning climb up the “stairs of doom” at Koko Head! *Airbnb: Louise and Kahi have two rooms available in the main house (I stayed in the Garden Room) plus a studio below. They even have a house that they’re renting out longer term if you want to stay for longer! Pearl Harbor: The view from the USS Missouri across the water to the USS Arizona Memorial. I studied the Second World War at school. A lot. We covered the rise of the Nazis through to the Yalta and Potsdam conferences that came at the end of the war and continued through the crises and treaties of the Cold War. Although we did of course cover Japan’s bombing of Pearl Harbor*, we were focused on the war in Europe and learned little about what was going on in the Pacific. Pearl Harbor was attacked on 7th December 1941, a date, as President Roosevelt famously announced to Congress, that would “live in infamy”. It was the event that brought the US into the war and probably sealed the fate not just of Japan but of Nazi Germany. In short, a pretty crucial point in the course of the war and of history. The plaques bear the names of all the people who died at the bombing of Pearl Harbor. Admiral Yamamoto’s strategy was to annihilate the US Pacific Fleet, thus preventing them from interfering in Japan’s military actions in Southeast Asia. He attacked mainly by air (with a less successful attack by midget submarine): starting at 07.48 local time, 353 Japanese fighter planes, torpedo planes, and bombers were launched from six aircraft carriers and attacked the base. During the attack, 2,335 military personnel were killed and 1,143 wounded; the civilian figures were 68 and 103. The Japanese attackers lost 55 men. “Yesterday, December 7th, 1941 – a date which will live in infamy – the United States of America was suddenly and deliberately attacked by naval and air forces of the Empire of Japan. 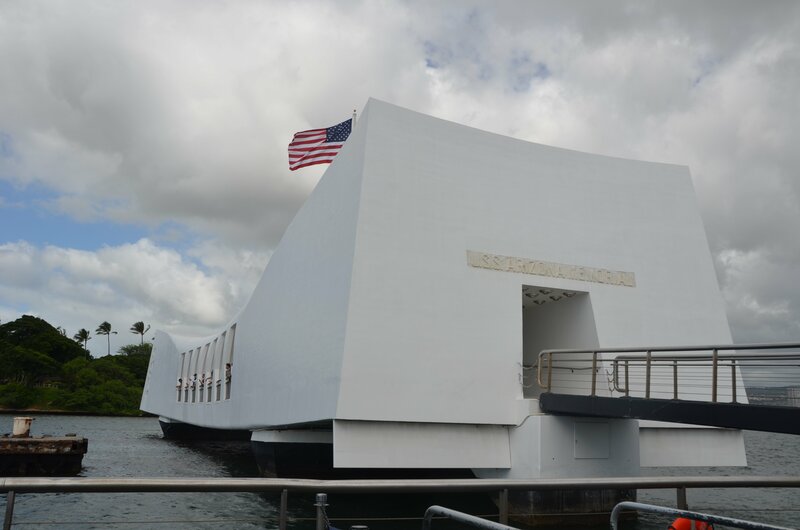 The USS Arizona Memorial, a bridge that sits across the wreck of the ship below, was designed by an architect who had been detained at the start of the war as an enemy due to his Austrian birth. 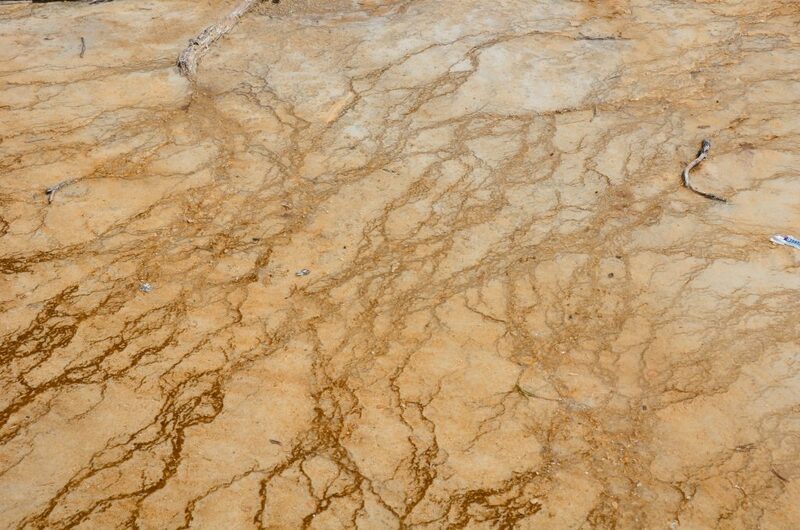 Oil still seeps from the ship below. 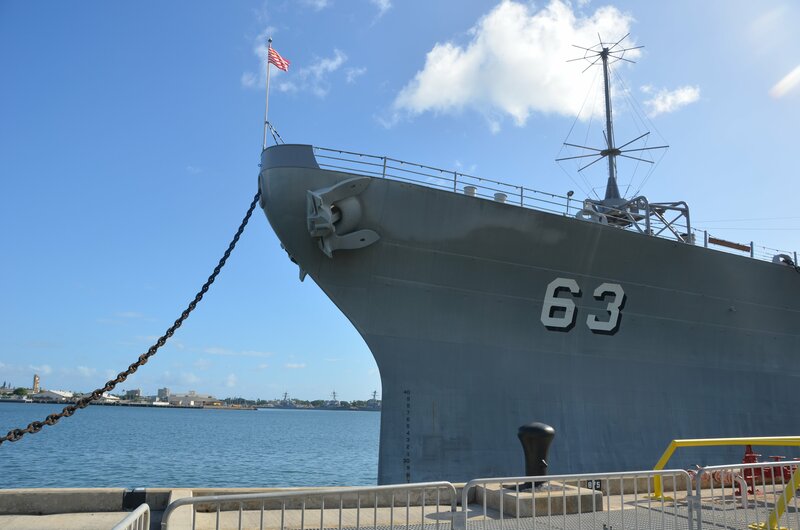 Today, Pearl Harbor is still a naval base, with a visitor’s centre and museum dedicated to telling the story of what happened during the war. 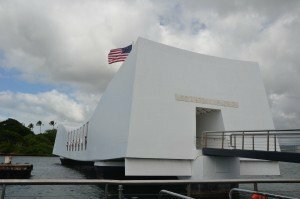 The focus is on the USS Arizona, one of three battleships that could not be returned to service after the attack and the only one that could not be raised. One of the bombs that was dropped on the Arizona caused a detonation of the forward magazines and the explosion and its aftermath saw 1,177 officers and crew lose their lives. The names of these men are marked on the memorial built over the wreck of the ship. You can say what you want about the cheesy Hollywood epic in which “the Japanese staged a surprise attack on an American love triangle” but what it definitely does do is bring to life the horror of the sudden bombing and especially the reality of the men who were trapped on board. The USS Missouri was saved from a fate of being dismantled for scrap metal and used for target practice. If Pearl Harbor and the USS Arizona marked the beginning of World War Two for the US, it was the USS Missouri that marked the end. 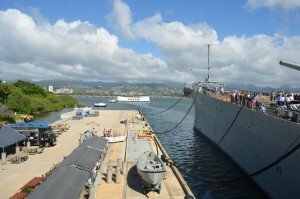 The last battleship commissioned by the US – technology has since made these ships obsolete – the USS Missouri was not yet built at the bombing of Pearl Harbor. Instead it played an important role a few years later, when it housed the official signing of the Japanese surrender in September 1945. 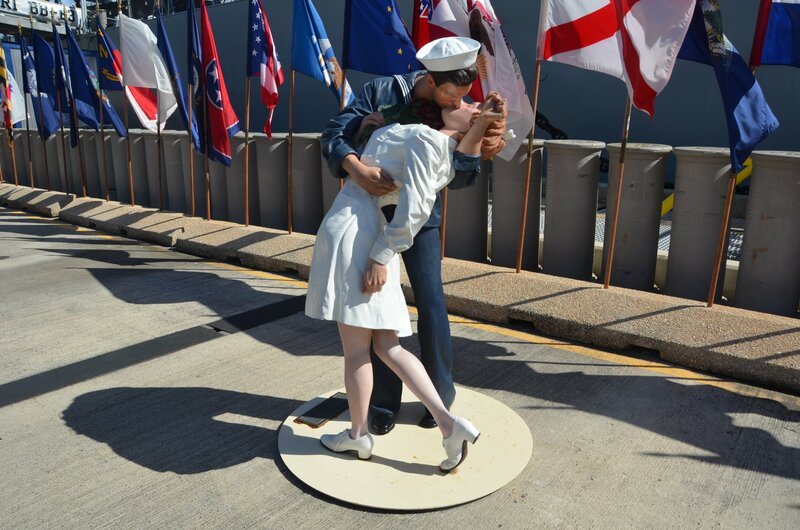 The “kissing sailor”, a statue of that famous photo that was taken on V-J Day in Times Square. To my ignorant eye, the Missouri looks a lot like the Arizona in the film and this made it all the more poignant to walk around on board the ship and imagine what it would have been like on board the battleships that were present on the day of the bombing. Although I chose not to go below deck – I’m claustrophobic – I did peek into the cramped cabins lined with bunk beds, where men were sleeping on the day of the bombing; on the Missouri, youth groups can now spend the night here. Across the water, you can see the more modern destroyers and submarines in what are still the headquarters of the US Pacific Fleet. Next March, I’m travelling to Japan and I’m going to continue this historical journey to Hiroshima, another pivotal moment that came before that official signing of the surrender on the USS Missouri. Pearl Harbor Tours: You can drive to Pearl Harbor and visit the sights yourself but given that I didn’t have a car I booked onto the Arizona Memorial & Battleship Missouri Tour. 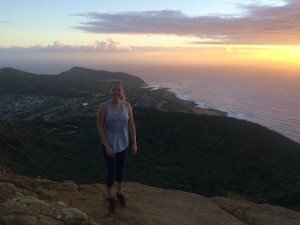 It’s basically a full day, including also a drive through the Punchbowl Cemetery in town and a mini-city tour including Barack Obama’s private high school.